The Journal of education is an invaluable resource for teachers, counselors, administrators and educational researchers. It publishes research papers on current educational issues and encourages debate on theory, policy and practice adopted in education sector. Is Utilisation Of Instructional Media The Solution For Improved Standard Of Education In Pre-tertiary Institutions In Ghana? 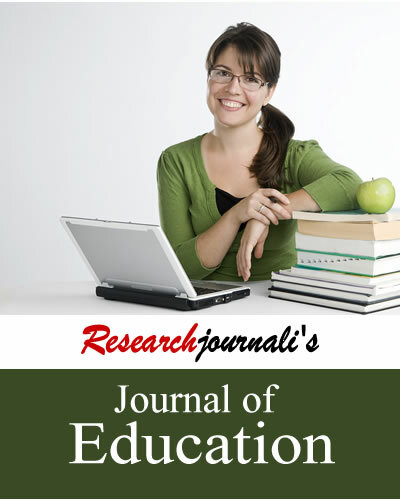 Researchjournali's Journal Of Education (RJOE) is an invaluable resource for teachers, counselors, supervisors, administrators, curriculum planners, and educational researchers. It publishes research papers on current educational issues and encourages debate on theory, policy and practice adopted in the education sector. The journal focuses on education in general, higher education as well as educational practice in elementary and secondary schools in global arena. The articles are highly relevant to the issues and challenges faced in education sector and encourage innovative and creative research based approach to solve the issues. Journal of education publishes research papers on following topics such as.